FREE Breakfast Sandwich With McCafe Purchase At McDonald's! 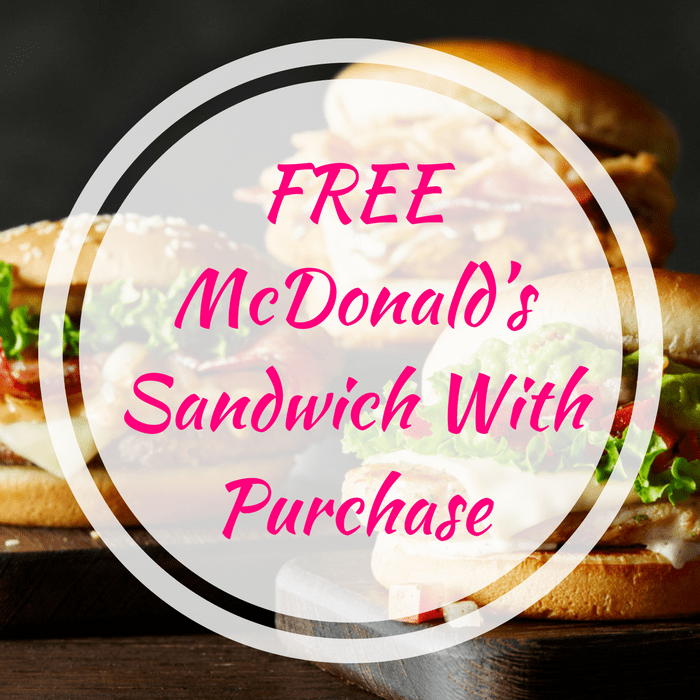 You are here: Home / FREEbies / FREE Breakfast Sandwich With McCafe Purchase At McDonald’s! FREE Breakfast Sandwich With McCafe Purchase At McDonald’s! Until June 3 only! Head over to McDonalds where they are offering a FREE Breakfast Sandwich with a medium McCafe purchase when you use mobile order and pay on the McDonald’s App! All you need to do is download the app (if you haven’t) and click on the “View Deals” to find the offer. Then, customize your mobile order, apply your coupon and pay. That easy!